Having a baby is one of the most exciting times in your life, and choosing the right Pediatrician is an important decision. Our providers share your joy and enthusiasm and look forward to beginning this journey together. We believe that journey can start right in the delivery room. East Suburban Pediatrics provides around-the-clock in-hospital coverage at Forbes Hospital in Monroeville. Frequently, your OB/GYN may request a Pediatrician be present in the delivery room just to make sure your baby has a smooth transition after birth. At Forbes Hospital, the Pediatrician in the delivery room will be a doctor associated with our practice. Your baby’s care over those first few days will then be supervised by one of our doctors in the Well Baby Nursery. Sometimes, babies need some extra support or more intensive care. East Suburban Pediatrics’ doctors care for every baby admitted to the Level II Special Care Nursery at Forbes Hospital. We partner closely with the Neonatologists at West Penn Hospital should your baby need an even higher level of care. If you deliver at Magee Womens Hospital or another facility, your baby will be in the capable care of the hospital’s neonatal group. You will leave the hospital with a detailed plan to follow up in our office. We cannot wait to meet your new child! Feel free to call any of our offices to schedule a Prenatal Visit. We encourage expectant parents to come and see our offices, meet our providers, and learn about our pediatric health care philosophy. 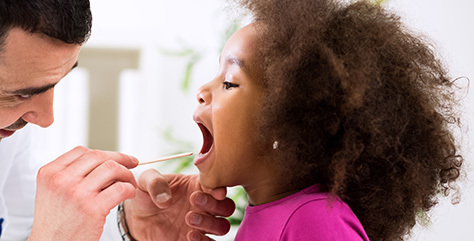 Because of more effective preventative care and advances in immunizations, the need for pediatric hospitalization has decreased dramatically over the past couple of decades. However, there are times when your child may need emergent care or even admission to the hospital. East Suburban Pediatrics’ doctors are at Forbes Hospital 24/7 so that we are best able to care for your child in these difficult times. Our doctors provide Pediatric consultations in the Emergency Room and supervise the inpatient Pediatric Unit at Forbes Hospital. Our close partnership with the Diagnostic Referral Group and other specialists at Children’s Hospital of Pittsburgh ensures that no matter where your child is admitted our providers are part of the care team.